Background: Anemia in pregnancy has different adverse effects on pregnancy outcome, and iron deficiency anemia (IDA) is the most common cause of anemia during pregnancy. Recent studies have suggested an association between Helicobacter pylori and IDA during pregnancy. Objective: The aim of this study was to evaluate the impact of H. pylori infection on IDA in pregnancy. Patients And Methods: This was a case–control study carried out at Al-Yarmouk Teaching Hospital between January 1 and August 1, 2016. The study included 100 pregnant women divided into two groups: control group with normal hemoglobin (Hb) and a study group with IDA. Both groups were subjected to H. Pylori test. Results: The mean Hb level of the patients was 9.4 ± 0.8 g/dl. Fifty cases had an Hb level <11 g/dl and fifty cases with Hb ≥11 gm/dl. Thirty-two percentage of the study group were seropositive for anti-H. pylori IgA compared to 4% of the control group, and this difference was statistically significant at P < 0.001. Conclusion: There was a positive correlation between IDA during pregnancy and H. pylori-positive cases. Anemia occurs when the number of red blood cells (RBCs) (and consequently their oxygen-carrying capacity) is inadequate to meet the physiologic requirements. Anemia in pregnancy is diagnosed when the hemoglobin (Hb) concentration in the peripheral blood is less 11 g/dl. The most common cause of anemia in pregnancy is iron deficiency anemia (IDA). The body needs iron, Vitamin B12, and folic acid for erythropoiesis. If there is a lack of one or more of these ingredients or there is an increased loss of RBCs, anemia develops. During the first trimester of pregnancy, iron requirements decrease because of cessation of menses. Although expansion of maternal blood volume peaks between weeks 20 and 25 of gestation, the need for iron increases in a linear pattern with the increases in gestational age. Helicobacter pylori, previously Campylobacter pylori, are a Gram-negative, aerophilic, spiral-shaped bacterium found usually in the stomach. Around 80% of individuals infected with the bacterium are a symptomatic.H. pylori infection is associated with enhanced gastrin release from the antrum, and increasing evidence suggests a major role of cytokines in the pathogenesis of peptic ulcer and H. pylori-associated gastritis. Furthermore, H. pylori infection results in impairment of bicarbonate secretion. This results in an increase in duodenal acid load in person with H. pylori infection.H. pylori infection is investigated in gastric diseases during pregnancy. This bacterium seems to be associated with hyperemesis gravidarum, a severe form of nausea and vomiting in pregnancy. During the past years, the relationship between H. pylori and several extragastric diseases strongly emerged in literatures. The correlation among H. pylori infection and pregnancy-related diseases was mainly focused on IDA, thrombocytopenia, miscarriage, fetal malformations, fetal growth restriction, and preeclampsia. These disorders are related to H. pylori through different mechanisms: depletion of micronutrients (iron, folate, and Vitamin B12) in maternal anemia and fetal neural tube defects, interaction between anti-H. pylori antibodies and antigens present in placental tissue and endothelial cells (preeclampsia, fetal growth restriction, and miscarriage), release of pro-inflammatory cytokines with oxidative stress in gastrointestinal disorders, and preeclampsia. It is widely believed that hormonal and immunological changes occurring during pregnancy could activate latent H. pylori which is most likely acquired before pregnancy with a negative impact on maternal and fetal health., As noted that the pregnant women infected with H. pylori had lower mean Hb level at the beginning of pregnancy and a greater decrease in the mean Hb level at the end of pregnancy. Furthermore, eradication of H. pylori infection has been recommended for patients with unexplained IDA. H. pylori require iron from the host also it may have a specific ability to interfere with iron metabolism by binding iron to their outer membrane proteins. It is hypothesized that H. pylori infection decreases mucosal iron absorption capacity due to competition for dietary iron supply, reduction of stomach Vitamin C levels, and increased hepatocytes hepcidin release in response to IL-6 production associated with H. pylori infection.H. pylori can usually be detected by identifying antibodies to H. pylori bacteria (but, it will not differentiate current from previous infection). Urea breath test is used to isolate H. pylori bacteria in the stomach. It can also be used to evaluate the response to treatment directed to eradicate H. pylori from the stomach. Stool antigen test is another test that may be used to identify H. pylori antigens. Stomach biopsy rarely needed through endoscopy to isolate and culture the pathogen. A case–control study was carried out on fifty patients with a confirmed diagnosis of anemia defined as Hb <11 g/dl, we studied the iron parameters for them and those with IDA were included in the study as a study group, whereas a another fifty pregnant females with normal Hb equal or more than 11 gm/dl as a control group, so the study included 100 pregnant patients. This study was conducted at the Department of Obstetrics and Gynecology at Al-Yarmouk Teaching Hospital/Baghdad, between January 1 and August 1, 2016. The study was approved by review ethical committee of Iraqi council for medical specialization. A verbal consent had been obtained from each participant involved in the study. Inclusion criteria were single viable fetus, patients at the third trimester, any maternal age, and parity. Exclusion criteria were patients with chronic hypertension, diabetes mellitus, hyperemesis gravidarum, malabsorption syndrome, hemoglobinopathy, anemia of chronic diseases, history of long-term aspirin intake, antibiotics taking before 4 weeks, peptic ulcer, and smoking. Detailed history was obtained including the age, gestational age, past medical, obstetrical, and gynecological history. A thorough examination was made and investigations were sent. Initially, 2 ml of blood was taken from each patient by venipuncture and sent for Hb level and those who were diagnosed as having anemia when their Hb <11 g/dl were further investigated by complete blood picture and blood film, serum iron, serum ferritin, and TIBC. A serum iron of 50–170 μ/dl, a serum ferritin of 15–150 μ/L, and a TIBC of 250–370 μ/dl were considered as normal values. Those who were diagnosed as having IDA in addition to the control group were further sent for H. pylori test by either taking three drops of blood by fingertip puncture or venipuncture put it on a special kit (H. pylori Ab Combo rapid test) for about 15 min. For those patients who had not been tested immediately, 2 ml of blood was taken sera of the patient were stored in refrigeration (2°C–8°C) to be tested later. As shown in [Table 1], both groups were comparable regarding demographic data which include age in years, gravidity, parity, abortion, and gestational age in weeks. The mean Hb in anemic group was 9.4 ± 0.8 (mg/dl), while in the control group, it was 12.5 ± 1 (mg/dl) as shown in [Figure 1] and the difference was highly statistically significant. [Table 2] shows the main IDA diagnostic laboratory tests of the study group. In this study, the serum anti-H. pylori IgA was measured for both the study and control groups, 32% of the study group were seropositive compared to 4% of the control group, and this difference was statistically significant (P< 0.001), as shown in [Table 3] and [Figure 2]. IDA may be associated with adverse effects on maternal and infant health and associated with high risk of preterm delivery and delivery of low birth weight neonate. The World Health Organization recommends that Hb level should be maintained at or above 11 g/dl and must not be allowed to fall below 10.5 g/dl in the second and third trimesters. In the current study, the incidence of seropositivity for H. pylori among pregnant women with IDA was 32% which is similar to study conducted by Dolatian et al. which showed that positive cases with H. pylori increased the chance of IDA by 2.2 times  and other studies including a meta-analysis of 12 case reports and case series, 19 observational epidemiologic studies, and six intervention trials by Muhsen and Cohen showed an increased risk for IDA among H. pylori-positive cases. Another study by Parashi et al. which included 168 pregnant women in the first trimester showed that the risk of IDA among pregnant women in which H. pylori infection was 3.18 times more compared to those who were not infected. Furthermore, it showed that the odd ratio for H. pylori among women in IDA was 9.599 and 95% CI 1.985–46.414 which is comparable with the abovementioned study. On the other hand, two studies conducted by Weyermann et al. and Huang et al. in which their studies included 898 pregnant patients showed 23% had positive H. pylori and IDA at the beginning of pregnancy, compared with those negative H. pylori pregnant patients, those with positive H. pylori had a lower mean Hb level at the beginning of pregnancy and a more unfavorable change in Hb level during pregnancy., The recent study demonstrated that in comparison to nonpregnant women, pregnant women had a high prevalence of H. pylori and those positive for H. pylori associated with low Hb level. On the other hand, a study done by Saler et al. found that there was no association between H. pylori-positive cases and IDA with normal gastrointestinal tract endoscopy results. Different mechanisms have been hypothesized for the development of IDA in H. pylori infection some of which suggested that H. pylori strains require iron for their growth and proliferation and some H. pylori strains have a specific ability to interfere with iron metabolism by binding iron to their outer membrane proteins; another mechanism is that H. pylori require iron as a growth factor, and it possesses a 19-kDa iron-binding protein resembling ferritin, that may play a role in storage of excessive iron by the bacteria., Another study by Choe et al. showed that low gastric pH produced by H. pylori infection with low Vitamin C levels in the stomach had a role in the development of IDA in H. pylori-positive patients. In Baysoy et al. study which enrolled 52 patients with gastrointestinal complaints, 24 patients had anemia, 12 (50%) of anemic patients where positive for H. pylori, and 5 of them (41%) had pangastritis in comparison to 18% of H. pylori positive were nonanemic, this study concluded that H. pylori closely linked to low gastric ascorbic acid. Ascorbic acid chelates iron protects its stability at the duodenum and increases its absorption. Gastric acidity maintains ferric iron in its soluble form and promotes its absorption. A study done by Malik et al. showed that women loses blood during menstrual period and during repeated pregnancies were major causes of iron deficiency anemia. Another study by Meroj et al. which included 100 patients with gastric ulcer, 78% of them positive for H. pylori, and 22% negative cases, the result showed that 24% of H. pylori-positive cases had an IDA, so there was an association between IDA and H. pylori-infected patients. All the abovementioned studies found that there was an association between H. pylori and IDA in adults, children, pregnant, and nonpregnant patients, whereas Mubarak et al. found no association between H. pylori and IDA which disagree with the current study. With regards to the laboratory iron parameters, the current study showed that TIBC (which is considered an indirect indicator of iron deficiency) was higher in patients with IDA group (mean ± standard deviation 471.9 ± 66), also it showed that level of serum ferritin was decreased in those group which is similar to study done by Yip et al. in which he found a significant correlation between H. pylori IgG positivity and low serum ferritin levels in pregnant women. Serum ferritin level is an early indicator of the status of iron stores and is the most ideal indicator available of depleted iron stores. Ferritin is protein produced by nearly every cell of the body serve as the primary iron storage from which iron can be mobilized and used in the production of Hb. The level of H. pylori seropositive antibodies was found to be higher among pregnant patients with IDA compared to pregnant patients with normal Hb level suggesting an association between H. pylori infection and IDA in pregnancy. Sabina S, Iftequar S, Zaheer Z, Khan MM, Khan S. An overview of anemia in pregnancy. JIPBS 2015;2:144-51. Chowdhury S, Rahman M, Moniruddin AB. Anemia in pregnancy. Med Today 2014;26:49-52. Reveiz L, Gyte GML, Cuervo LG. Treatments for iron-deficiency anaemia in pregnancy. Cochrane Database of Systematic Reviews 2007:CD003094. DOI: 10.1002/14651858.CD003094.pub2. Weatherall D, Hatton C. Anaemia: pathophysiology, classification, and clinical features. In: Oxford Textbook of Medicine. Oxford, UK: Oxford University Press; 2010. Available from: http://oxfordmedicine.com/view/10.1093/med/9780199204854.001.1/med-9780199204854-chapter-220502. [Last accessed 2017 May 19]. Benz EJ. Disorders of hemoglobin. In: Fauci AS, Braunwald E, Kasper DL, et al., (editors). Harrisons priciples of internal medicine.17th edition. New York. Mc Graw Hill; 2008. p. 635-45. Allford SL, Hunt BJ, Rose P, Machin SJ, Haemostasis and Thrombosis Task Force, British Committee for Standards in Haematology. Guidelines on the diagnosis and management of the thrombotic microangiopathic haemolytic anaemias. Br J Haematol 2003;120:556-73. Steensma DP, Hoyer JD, Fairbanks VF. Hereditary red blood cell disorders in Middle Eastern patients. Mayo Clin Proc 2001;76:285-93. Bolton-Maggs PH. The diagnosis and management of hereditary spherocytosis. Baillieres Best Pract Res Clin Haematol 2000;13:327-42. Fernandez-Ballart JD. Iron metabolism during pregnancy. Clin Drug Invest 2000;19:9-19. Beard JL, Hendricks MK, Perez EM, Murray-Kolb LE, Berg A, Vernon-Feagans L, et al. Maternal iron deficiency anemia affects postpartum emotions and cognition. J Nutr 2005;135:267-72. Shiro K. Approaches to anemia in pregnancy. JMAJ 2009;52:214-8. Kalaivani K. Prevalence &amp; consequences of anaemia in pregnancy. Indian J Med Res 2009;130:627-33. Malik R, Guleria K, Kaur I, Sikka M, Radhakrishnan G. Effect of Helicobacter pylori eradication therapy in iron deficiency anaemia of pregnancy-A pilot study. Indian J Med Res 2011;134:224-31. Cogswell ME, Parvanta I, Ickes L, Yip R, Brittenham GM. Iron supplementation during pregnancy, anemia, and birth weight: A randomized controlled trial. Am J Clin Nutr 2003;78:773-81. Arnold DL, Williams MA, Miller RS, Qiu C, Sorensen TK. Iron deficiency anemia, cigarette smoking and risk of abruptio placentae. J Obstet Gynaecol Res 2009;35:446-52. Gambling L, Danzeisen R, Gair S, Lea RG, Charania Z, Solanky N, et al. Effect of iron deficiency on placental transfer of iron and expression of iron transport proteinsin vivo and in vitro. Biochem J 2001;356:883-9. Perez EM, Hendricks MK, Beard JL, Murray-Kolb LE, Berg A, Tomlinson M, et al. Mother-infant interactions and infant development are altered by maternal Iron deficiency anemia. J Nutr 2005;135:850-5. Insel BJ, Schaefer CA, McKeague IW, Susser ES, Brown AS. Maternal iron deficiency and the risk of schizophrenia in offspring. Arch Gen Psychiatry 2008;65:1136-44. Pavord S, Myers B, Robinson S, Allard S, Strong J, Oppenheimer C. UK guidelines on the management of iron deficiency in pregnancy. Br J Haematol 2012;156:588-600. Konturek JW. Discovery by Jaworski of Helicobacter pylori and its pathogenetic role in peptic ulcer, gastritis and gastric cancer. J Physiol Pharmacol 2003;54 Suppl 3:23-41. Marshall BJ. The discovery that Helicobacter pylori, a spiral bacterium, caused peptic ulcer disease. In: Marshall B, editor. Helicobacter Pioneers. Singapore: Blackwell Science Asia; 2002. p. 165-202. Malaty HM. Epidemiology of Helicobacter pylori infection. Best Pract Res Clin Gastroenterol 2007;21:205-14. Cardaropoli S, Rolfo A, Todros T. Helicobacter pylori and pregnancy-related disorders. World J Gastroenterol 2014;20:654-64. Yalinay Cirak M, Yakut A, Francis M. Diagnosis of Helicobacter pylori. J Compil 2007;12:4-9. Walker SW. Labratory reference range. In: Boon NA, College NR, Walker BR, Hunter JA, editors. Davidson Principle and Practice of Medicine. 20th ed., Ch. 28. London: Churchil Livingstone; 2006. p. 1322. 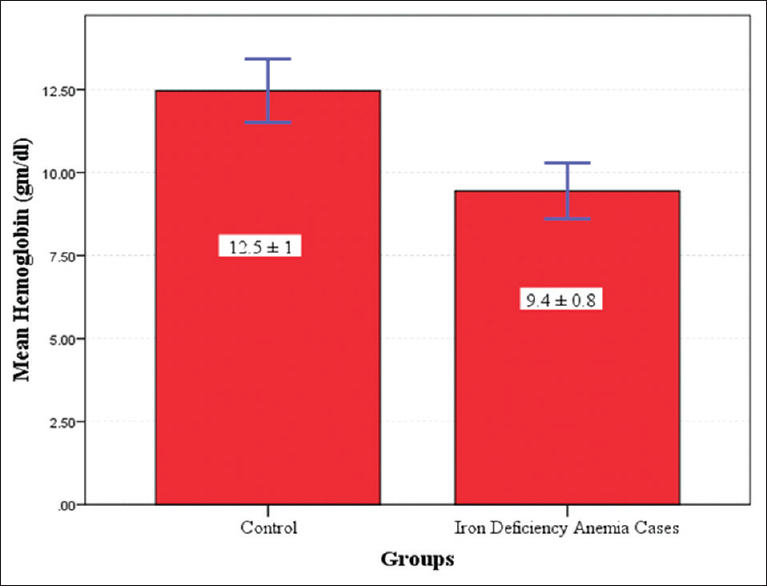 Raza N, Sarwar I, Munazza B, Ayub M, Suleman M. Assessment of iron deficiency in pregnant women by determining Iron status. J Ayub Med Coll Abbottabad 2011;23:36-40. Dolatian M, Noori R, Zojagy H, Alavi Majd H. The relationship between Helicobacter pylori infection and anemia in pregnant women. J Reprod Fertil 2007;8:238-46. Muhsen K, Cohen D. Helicobacter pylori infection and iron stores: A systematic review and meta-analysis. Helicobacter 2008;13:323-40. 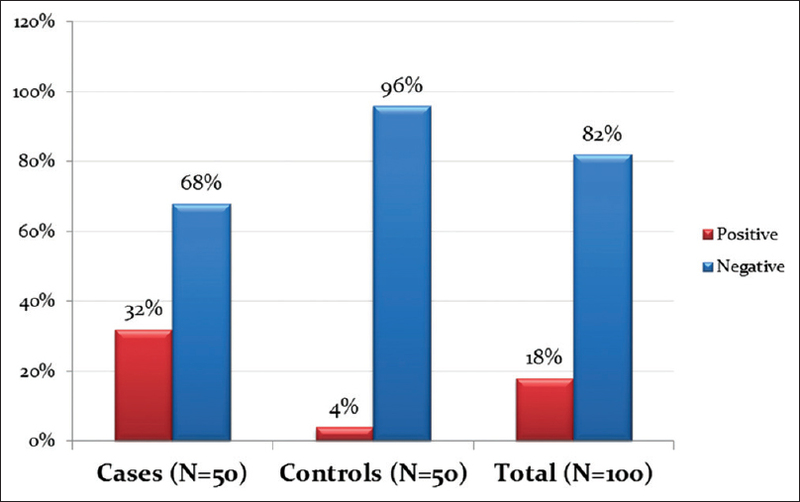 Parashi SH, Shohreh B, Mansoureh A. Assessing the association between iron deficiency anemia and H. Pylori infection among pregnant women referring to a busy antenatal clinic in Tehran-Iran. Shiraz E Medical J 2013;14:153-61. Weyermann M, Rothenbacher D, Gayer L, Bode G, Adler G, Grab D, et al. Role of Helicobacter pylori infection in iron deficiency during pregnancy. Am J Obstet Gynecol 2005;192:548-53. Huang X, Qu X, Yan W, Huang Y, Cai M, Hu B, et al. Iron deficiency anaemia can be improved after eradication of Helicobacter pylori. Postgraduate Med J 2010;86:272-8. Terfa K. Prevalence of Helicobacter pylori infection and associated risk factors among women of childbearing ages in selected health centers, Kolfe keranio Subcity. Addis Ababa. Addis Ababa University School of Allied Health Sciences 2015:1-35. Saler T, Fakir Özgür K, Sibel K Jr., Süleyman A, Gülay Orto L. H. pylori may not be associated with iron deficiency anemia in patients with normal gastrointestinal tract. Advances in Hematology 2014;2014:4. VanVliet AH, Ketley JM, Park SF, Penn CW. The role of iron in Campylobacter gene regulation, metabolism and oxidative stress defense. FEMS Microbiol Rev 2002;26:173-86. Pérez-Pérez GI, Israel DA. Role of iron in Helicobacter pylori: Its influence in outer membrane protein expression and in pathogenicity. Eur J Gastroenterol Hepatol 2000;12:1263-5. Choe YH, Oh YJ, Lee NG, Imoto I, Adachi Y, Toyoda N, et al. Lactoferrin sequestration and its contribution to iron-deficiency anemia in Helicobacter pylori-infected gastric mucosa. J Gastroenterol Hepatol 2003;18:980-5. Baysoy G, Ertem D, Ademoğlu E, Kotiloğlu E, Keskin S, Pehlivanoğlu E, et al. Gastric histopathology, iron status and iron deficiency anemia in children with Helicobacter pylori infection. J Pediatr Gastroenterol Nutr 2004;38:146-51. Malik R, Guleria K, Kaur I, Sikka M, Radhakrishnan G. Effect of Helicobacter pylori eradication therapy in iron deficiency anaemia of pregnancy – A pilot study. The Indian Journal of Medical Research. 2011;134:224-31. Meroj AJ, Alia AA, Najah MD, Jenan AM. Iron deficiency in Helicobacter pylori infected patients in Baghdad. J Microbiol Infect Dis 2011;1:114-7. Mubarak N, Gasim GI, Khalafalla KE, Ali NI, Adam I. Helicobacter pylori, anemia, iron deficiency and thrombocytopenia among pregnant women at Khartoum, Sudan. Trans R Soc Trop Med Hyg 2014;108:380-4. Yip R, Limburg PJ, Ahlquist DA, Carpenter HA, O'Neil A. Pervasive occult gastrointestinal bleeding in an Alaska native population with prevalent iron deficiency: Role of Helicobacter pylori gastritis. JAMA 1997;227:1135-9.